as is the case for most mamas out there, i am the one that does the grocery shopping in our home. i have never been a "foodie" or a fantastic cook, but i do love the feeling that putting a homemade meal on the table for my family gives me. since i am not that comfortable in the kitchen, that level of discomfort also can extend to the grocery store and my into shopping experience. i want to watch what i am feeding my family and know what the nutritional facts are, but when i go to look at the nutritional facts panel on the back of a product, i get a little overwhelmed and lost. 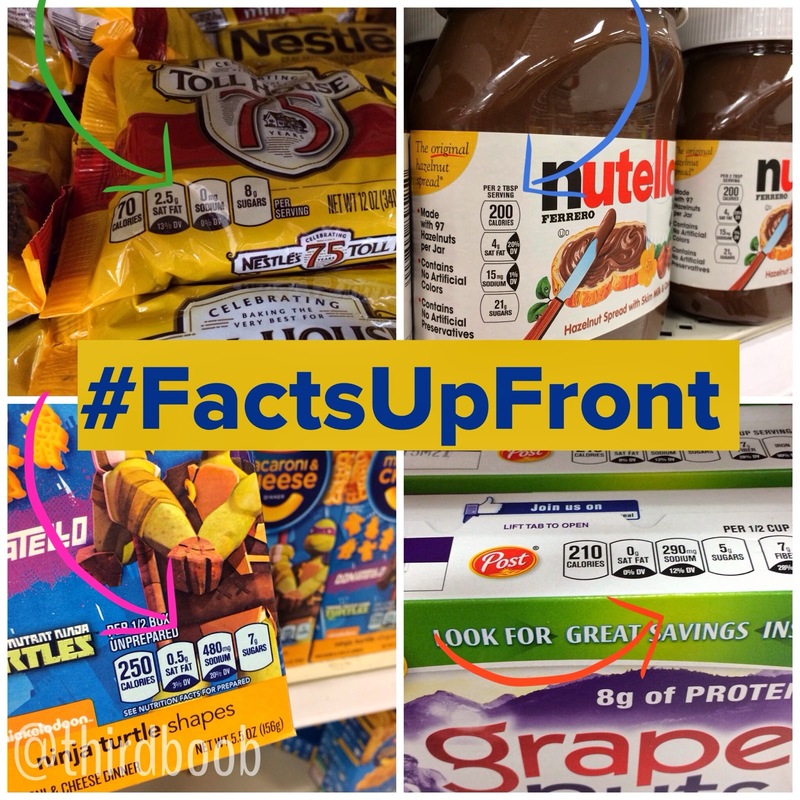 the facts up front initiative has made my grocery shopping experience so much more enjoyable by adding a simple label to the front of many of the products we love. that confusing nutritional facts panel on the back has been enhanced with the addition of a simple label that displays clearly, on the front, the key nutritional information: calories, saturated fat, sodium and sugar in a product serving. some labels even contain the fiber and calcium. i can easily make healthy, informed decisions for my family without spending the amount of time i did before pouring over the label, trying to decipher what i was reading. if nutritional information still seems confusing to you, the facts up front website also has a unique interactive label that explains everything from calories to sodium to make the process of finding healthy choices even easier. i was happily surprised to find out that many of the brands and products i already use are participating in this initiative and making it so easy for me to confirm that i have been making the right choices for my family. 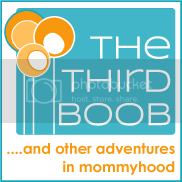 the factsupfront.org, website is truly an invaluable resource for mamas like me to not only learn more about the nutritional label and how to read it, but they also have a lot of other tools that have made my life easier. 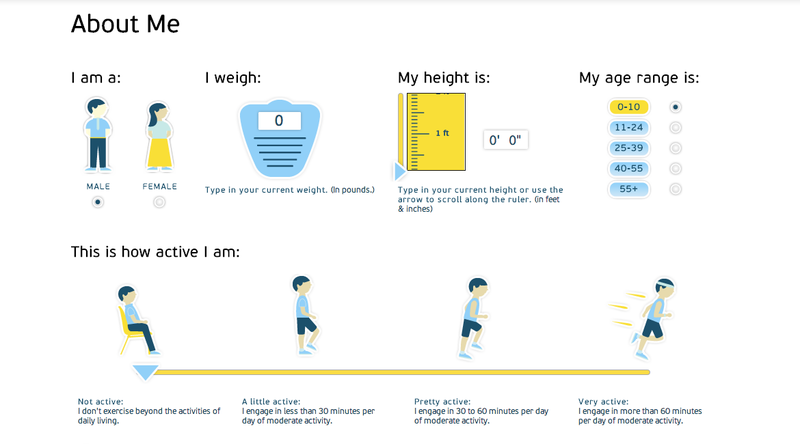 the nutritional calculator was so simple to use and provided me with personalized guidelines of what my nutrient needs are to stay healthy. 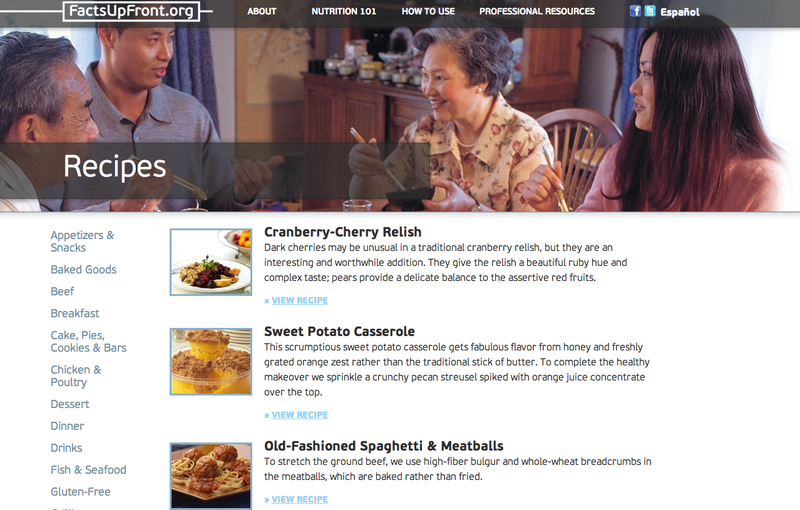 the facts up front website also contains a vast amount of recipes to access for everything from appetizers to entrees. with a gluten allergy in the house, i personally loved the gluten-free section. i, like you, want to make informed decisions on what to serve my family. i believe that the new front of package labeling is vital to making not only my shopping experience more pleasurable, but to keeping my family healthy as well. what are some things that you do to keep your family healthy? have you noticed the facts up front labels yet on your favorite products?